As part of the Fair Lakes family, we strive to provide a variety of general dentistry services along with continued education to help keep your health and smile the best it can be. From preventive care and dental sealants to periodontal treatment and maintenance, your healthiest smile is our top priority. Dr. Tran and Dr. Nguyen are passionate about dentistry and truly love what they do. With the help of the Fair Lakes team, our goal is to provide you with the dental care and personalized treatment every member of your family needs. Proper dental care highlighted by regular dental visits and cleanings, can prevent most problems of the teeth and gums. Systematic checkups can also help to identify potential issues early, making treatment easier while preventing more serious oral health problems from developing. We know it’s not always easy to clean those back teeth you use to chew. Molars are rough, uneven and a favorite place for debris and bacteria to gather. We can protect and keep those molars healthy with sealants. Sealants are a thin, protective coating that adheres to the chewing surface of your back teeth. In some siutations, a patient’s root may become inflect or inflamed. At this point a root canal treatment is necessary. Root canals relieve the patient of pain caused by the infection while salvaging the tooth itself. Once the infected pulp is removed, the inside of the tooth is carefully cleaned and disinfected and filled. ARESTIN® is a professional periodontitis antibiotic treatment applied locally to the infected periodontal pockets. This powder form substance is used to treat infections caused by bacteria typically after a scaling and root planning procedure and for periodontal maintenance for patients. Sometimes teeth begin to decay from food and bacteria and cavities are formed. Dental fillings restore the damage from tooth decay and preserve the tooth. Dental fillings come in a variety of different materials. Our doctors thoroughly asses the decay and damage to provide the proper fillings for your teeth. Everyday brushing and flossing should be accompanied by an annual dental cleaning by a dental professional. 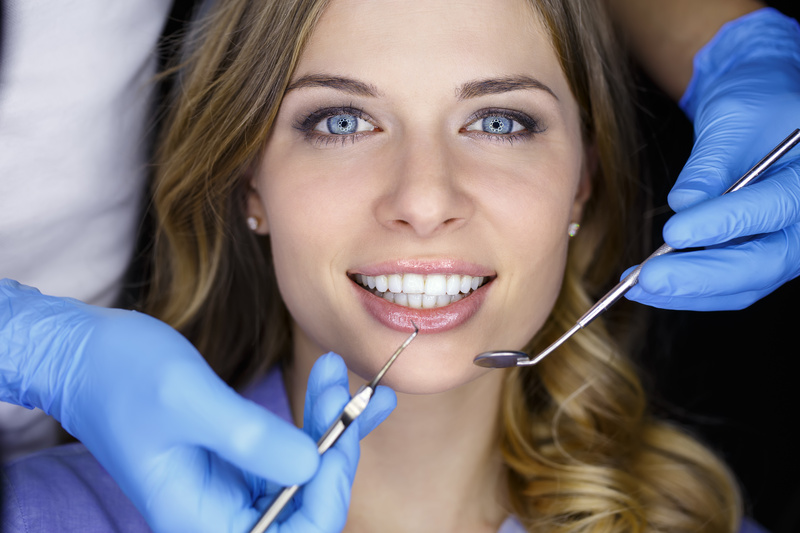 Dental cleanings also include an overall view of your medical history, an examination of your gums and mouth and aim to treat current issues and prevent potential oral health problems from arising. Impaction, crowding, infection and damage are a few of the common reasons why a tooth extraction would be necessary. Here are Fair Lakes we will complete a comprehensive exam of your oral hygiene and health and access the need for extractions to improve your quality of life and overall health. Nutrition counseling has an important place in the dental care we provide for our patients. The association between dietary choices and oral health is very strong. We will partner with you to educate and provide you with the dietary balance that best prevents dental caries, diabetes and periodontitis.